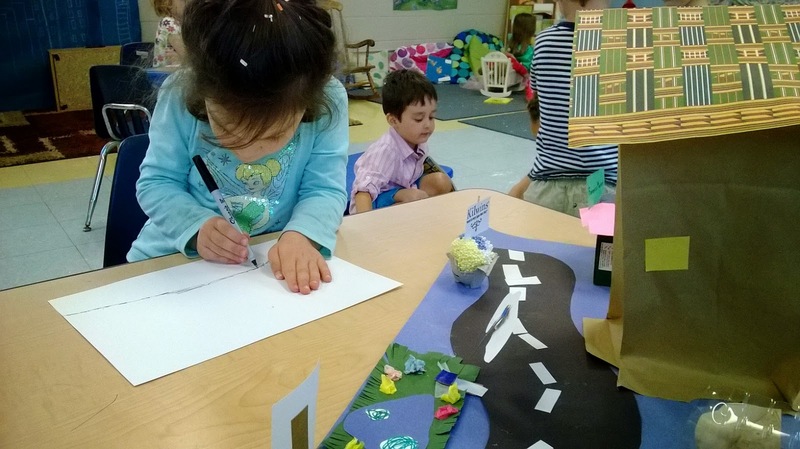 The 3- and 4-year-olds in our Adventurers summer program have been doing an in-depth study of the concept of neighborhood. Rather than drawing up a curriculum on places to visit, the teachers began the unit with asking the kids, "What is a neighborhood?" Next the kids listed where they went in their neighborhood and wrote about their favorite place. 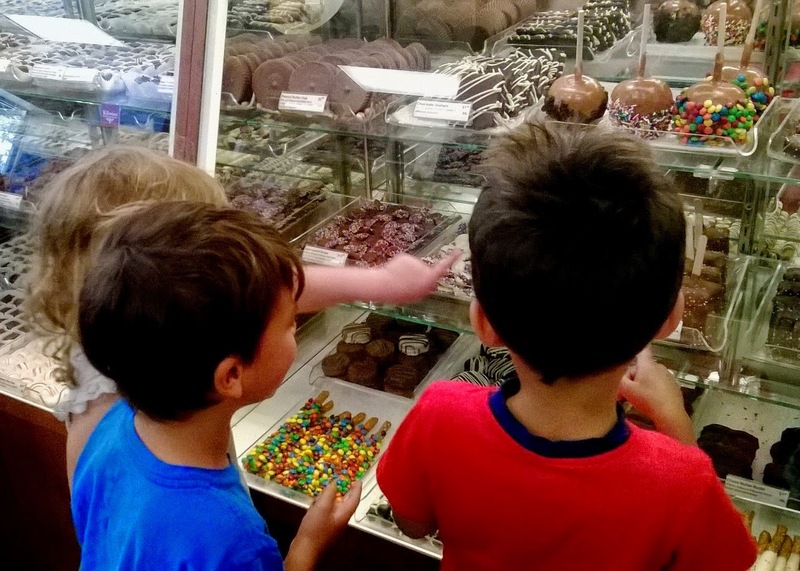 On field trips, the children visited some of their favorite neighborhood places, such as Treasure Island, Kilwin's ice cream shop and the farmers market. At each, they interviewed the manager, owner or sellers, and learned a lot about business in our neighborhood of Hyde Park. And added benefit: The children are now on a first-name basis with "Mr. Dan," manager at Treasure Island. 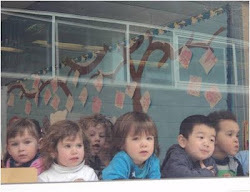 Thus community connections were created as well. At Treasure Island with "Mr. Dan"
Last, the kids set about building their own model neighborhood of Hyde Park. We bet they know more about our neighborhood than many of us who've lived here longer than they have.